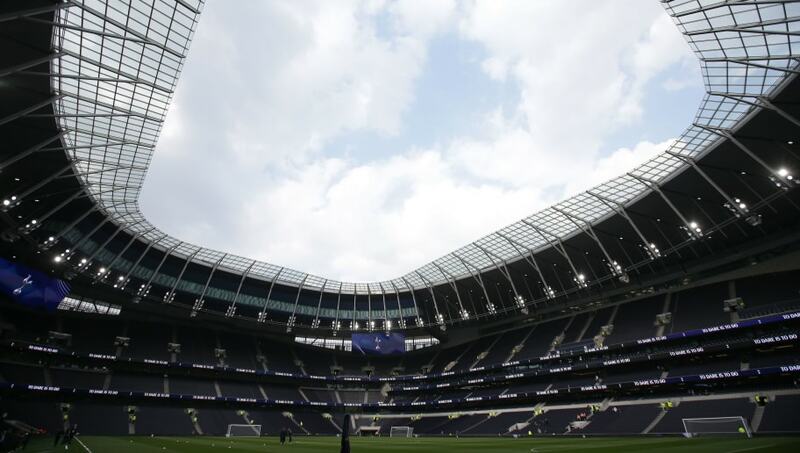 ​Totteham host Crystal Palace on Wednesday night in what will be the first Premier League match at the Tottenham Hotspur Stadium. After a long-awaited opening due to repeated delays, Spurs will finally get the chance to test out their new 62,062 seater arena. The encounter is one of great anticipation and also comes at a crucial point of the campaign with Mauricio Pochettino's side in need of points to hold onto a top four position and ​Palace looking to gain further breathing ground away from the ​Premier League's bottom three. Pochettino was without ​Eric Dier for the weekend defeat at ​Liverpool, and will be keeping a watchful eye on the potential return of the key midfielder.​ Harry Winks should be back after missing the last match through a strained hip flexor, while Serge Aurier could also return from a pulled hamstring. Aaron Wan-Bissaka returned to fitness ahead of Palace's win at the weekend, however, Mamadou Sakho also remains unavailable. Other than the center-half, Roy Hodgson will be able to bring a full strength team to the curtain raiser of Spurs' new stadium. These London rivals have come head to head on 53 previous occasions, with the first match coming over 113 years ago. Out of the all the prior encounters, it is Spurs who hold the advantage with 28 wins, compared to Palace's 11, with 16 clashes ending in draws. The Eagles have come out on top in just two of the last 11 meetings, with the north London outfit's superiority evident. Interestingly, Spurs' last four wins against Wednesday's opposition have all ended in 1-0 scorelines - Juan Foyth getting the deciding goal in November when these sides met at Selhurst Park. For Palace, their last victory over Tottenham came back in February 2016, with, yes another, 1-0 win in the FA Cup. It has been anything but smooth sailing for Pochettino's side in recent weeks, a series of five Premier League matches without victory has seen them fall out of the title challenge and avert their attentions towards staying in the top four. The rough patch they've been through culminated in a last minute defeat at Anfield on Sunday, leaving them them just the solitary point above fifth place ​Arsenal and in third.​ While their eagerness to taste victory at their new stadium's opening is a given, added incentive is piled on Spurs knowing they could start their first full season at their stadium without ​Champions League football. Crystal Palace on the other hand earned a much needed win over now relegated ​Huddersfield on Saturday as they look to steer clear of the relegation zone. Three wins from their last five matches have seen them climb up to 13th in the table, eight points away from ​Cardiff in 18th. It will be a sizable task to leave north London with a positive result on Wednesday but Hodgson's men may look to prey on the monumental pressure Spurs' will find themselves in at their stadium opening - with nerves surely set to kick in at some point. ​This clash will be remembered for many years to come, regardless of the final scoreline, however, anything other than a win for Spurs will leave a bitter taste in supporters' mouths. Tottenham were more than worthy of a point against Liverpool on Sunday but were cruelly denied by a last minute own goal. As such, the importance of Wednesday's match is increased twofold, so expect a rip-roaring and devastating showing from the home side. They need three points - and you'd back them to get it. The Eagles have a knack of creating numerous chances, particularly at home, yet scuppering the vast majority and winning games by the odd goal. With that in mind, they will create far few on Wednesday and simply have to take their opportunities when they're presented to them, or else they stand no chance. It has to be a Tottenham win doesn't it? Doesn't it?